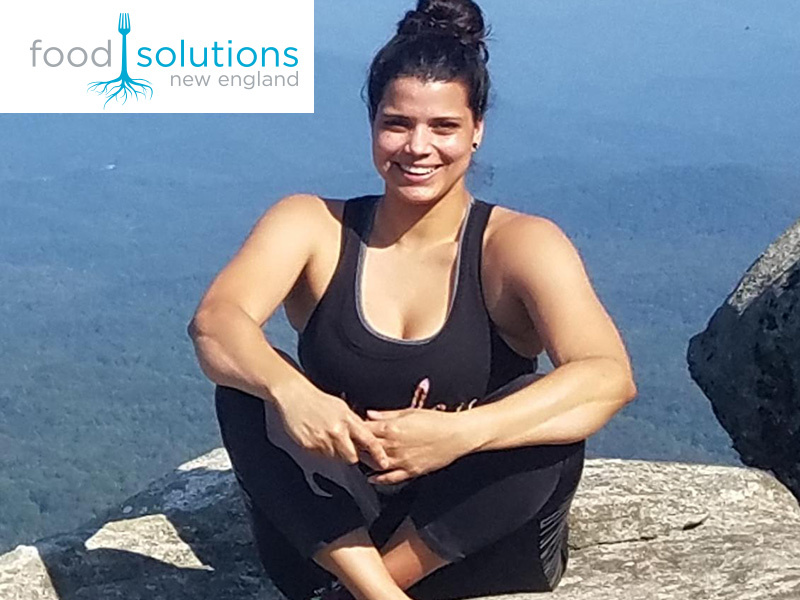 We are proud of our Nutrition Education Program Coordinator, Onelissa Martinez, for her valuable work in our organization and our community — and for recently participating in the third-annual cohort of Food Solutions New England’s Leadership Institute! Onelissa enjoyed contributing to the group, and looks forward to the next meeting coming up later this fall. Learn more about the third annual cohort of Food Solutions New England’s Network Leadership Institute. As an Environmental Studies major, focused on Religion/Philosophy, Onne learned early on the significance of cultivating good habits within communities in order to make sustainable change. Onne has experience working with Farm Fresh RI on both Community Access and Food System Enterprise efforts. She first came on board as a summer AmeriCorps VISTA for the Healthy Foods, Healthy Families nutrition education program, then returning as a year-long AmeriCorps VISTA. After completing that year, she moved over to the Packhouse where she gained experience in operations for Food System Enterprise. Today, she is back in nutrition education, bringing with her a renewed perspective on the full circle of our local food system. The overall Farm Fresh motto of connecting local food to local people aligns with Onne’s personal outlook on encouraging positive change.